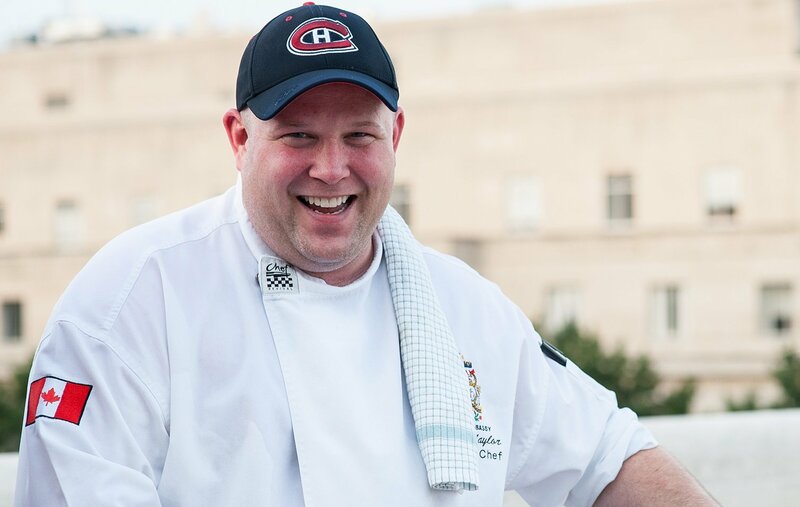 Meet Executive Chef and Le Cordon Bleu Ottawa alumni, Thomas Naylor. In 2009 Thomas completed his Diplôme de Cuisine, mastering classical French cuisine and pastry techniques. Born into the culinary world – he loved being in the kitchen and thanks his stay-at-home mom, her cooking captivated him, and he’s still attempting to duplicate a family Christmas favorite, angel fruitcake. “Growing up in Montreal, my parents used to bring me to restaurants when I was a kid. At five, six years old, I was ordering cream of broccoli soup and scampi and my dad was like, “Do you want a glass of wine with that?’ I was costing him too much money!” says Naylor. His passion and creativity in the kitchen was recognized by his Chef instructors early on – introducing him to Quebec celebrity Chef George Laurier, whom he worked for part-time during his studies, providing the opportunity to learn beyond the basics, and get creative in the kitchen. The training of basic knife skills and starting with the basic cooking techniques created a solid foundation to excel at whatever challenge was given to me in the workplace, says Naylor. After graduation Naylor began his serious culinary career working as the Executive Chef to the Canadian Ambassador in the U.S Capital of Washington, where he still works today. The embassy was serving French inspired dishes but seeking a Canadian twist of flavor and Naylor was the Chef for the job. Slicing and dicing with unique ingredients such as small game, venison and Caribou from Quebec, smoked salmon from New Brunswick, cattail hearts, milkweed pods and Saskatoon berry compote from Toronto. As Head Executive Chef, Naylor runs the kitchen, cooking for the Vice President and White House Chiefs of Staff, including Mark Messier and Michael J. Fox and one of the most memorable guests’ Arnold Schwarzenegger. “Meeting Arnold Schwarzenegger, that was kind of funny. I’m a big guy, and he tapped my stomach and said ‘I asked for a six pack, and you brought me a keg!’ so I looked him straight in the eye and said ‘I can’t believe Arnold Schwarzenegger just dissed me!”. Chef Naylor brings a mixture of French technique and Canadian delights to his dishes, cooking from the inside out. Proving that hard work, determination and following your passion can prepare you for a very successful Chef career.